We all have memories, we all try to recall the good ones again and again but the bad reminiscences remain in the subconscious to hit hard and sometimes we feel so much pressure that we try to escape from the present, avoiding the past and look up for a brighter future. My grandmother once told me, don’t let success get to your head and don’t ever let your failure get to your heart. I can now clearly say that her words of wisdom were and are true. I have realized that I have a long way to go and the failure should not stop me from surpassing the challenges of bitter life. Let the negativity go by, let the bad recollections go down beneath the debris, let us all grow and move away with time. Hold onto the memories you made with your achievements, remember all those times when you felt good about yourself, evoke the time when you made your parents proud, recall what was your dream that you so far attained. The fulfillment and feeling of attainment is something we cannot live without. It makes us feel out of this world. We cherish the memories of achievements by looking back to the time when we felt super happy, like sitting on the cloud nine and watching over the contemporaries. Well my today’s post is also a positive one which will bring flashbacks when we got certificate(s) both at school and at university level. Here I am unleashing a free A4 size achievement Certificate mockup that can be used for the tasks you have by your clients. Insert in the font, design elements, monogram/logotype/logo/stamp, statements, caliber, talent, competence or position as required into this certificate mockup. 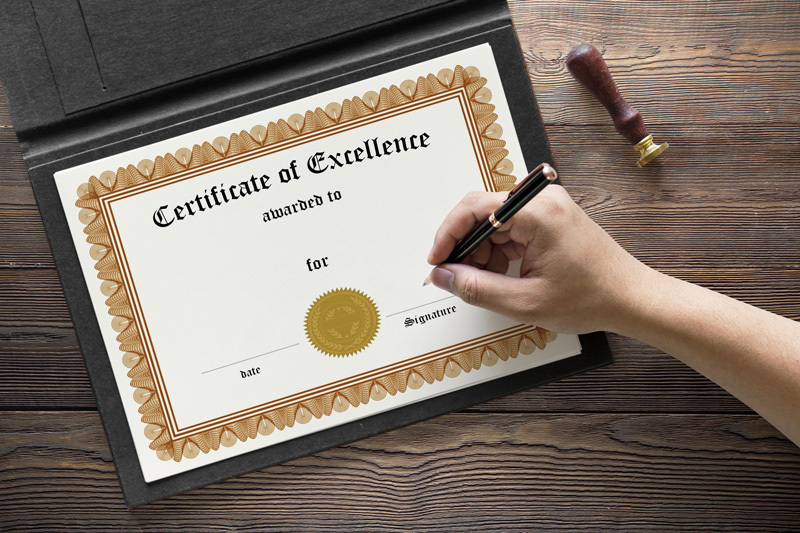 When a designer is asked to design a certificate of achievement there are many bits & pieces in his mind, that how to go about the certificate, how to make it look formally effective and striking. This mockup can be a great help for you to make an attractive presentation out of it. Insert in all the elements and make a pleasant presentation for your client. For more amazing design and art features, you must keep logging in to our blog, we love your presence and your feedback is all which is needed to improve. Here we go.